Any animals you have in the farm you need to feed and water them and do many other things. This is easy if you are organized and it rains enough, because the food grows and the animals can eat and drink. But what about when there is a drought. Dear readers, this article, Farming today is still a risky business, is the first article that is going to talk about the Australian government and the problems that we have here. To make things easier to link to, we are going to paste here the links for the articles that we are writing. We have written six articles and here are the links, if you want to read them. Now look at this piece of land it is so dry, there is nothing for the farms animals to eat. No farm animal can live here for long, unless you hand feed and water them manually. When thigs like this happen, it is very hard for the farmers to survive. Dear readers, I am writing this article, “Farming Today Is Still a Risky Business”, because today everybody is talking about faming and the drought. Now before I write about it, I want to say that I am writing this article for two reasons: One is to talk about the farmers problems and the failure of the government to help them; Two, this farmers problem gives me the opportunity to talk about my, Australian politics views; which is about the Australian government failure to help the farmers and other people, because they are in the same position as the farmer, according to the present, Social Security System, which I believe it is faulty. Now, let me explain, the farmers and other people are cut off the Social Security System, because they own properties, so, the assets-test eliminate them to receive help, even when they need help like the farmers today. So, this article is going to be the first article, followed by several other articles about the Australian politician’s failure to help people in need. Now let me go back to talk about farming and their problems. I believe that what is happening to the farmers today, it has happened before, so, I want to point out that this is the same old failure that most governments have. You see, what is happening in Australia now, brings back my life-time memories, which are two folds: one is that farming is a risky business, because the nature of farming is risky, since the weather and other things influence the outcome, as we can see from this drought that today is crippling the Australian farmers; the other is about how the government fails to help the farmers even today, when help is urgently needed. I believe that today we are more advanced, so, these things should be easier to understand and then control, if everything can be worked out and organized, before these things happen. Now, I may have started to write this article for the farmers, but there are other things and places that the government is failing to do the right things, so, I will be writing several articles, to point out what I believe could be done to fix them; but let us go back to talk about the farmers. Anyhow, I want to have my say and compare what I know from my life experiences, to what is happening now in Australia. I must say that it is like when I was young, the Italian government wanted only to collect the land tax from us farmers, just because we owned some land, even when the land did not produce anything; they still wanted the land tax, and that was hurting us farmers. You see, we old people will always go back and compare present happenings to the past and then have our say, therefore, let me tell you part of my life story, so that we can compare the past with the present. When I was young, I have been working in our family farm in Southern Italy for twelve years, I gave up farming because we worked hard but made very little money. During the time that I was working in the farm, I remember two very bad years for us famers; one of this was in 1951 when we had a drought and the wheat and other crops completely failed. We harvested what we could, but there was no much in it; the second time was in 1960, this time was too much rain, we again harvested what we could with the same result, we made about twice as much as the seeds we used for sowing, now that is bad because a good harvest is ten times plus what you sow, at least that is what we believed then. Anyhow, also the farm animals did not do well, because there wasn’t enough good food to go around; so, these events made me think to give up farming, since it is too risky, and you work for next to nothing. 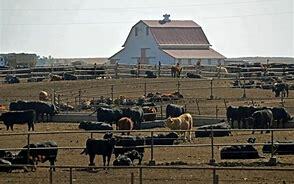 But not all farms were the same, so, let me explain, some people that had more land and more money than us, so, they were better off than us, made enough money to keep going, but I could not do that because my family didn’t own enough land, so, I had to find another way to earn a living. For this reason, I migrated to Australia hoping for the best. In Australia I switched job and instead of farming, I worked in the building industry; but in the back of my mind, I always thought about the farmers and their risky business. Anyhow, most people in Australia were and are thinking that farmers are rich people; well, some of them are rich and some are not so rich, when everything goes well, it is okay, but they are still running a risky business, and their business can lose money easily. Now, I must tell you this. The worst part of running a business and losing money; it is when people think you are rich, and therefore, nobody cares about you, even if you are starving. As it happens, farmers are at the top of this disadvantaged list, because farming is very risky; you see, most time it depends from the weather, but the farmers have no control over the weather, then, they own a lot of land, (they might even be paying tax because they own this land, (like we did in Italy in the fifties) but I don’t know much about this issue); now, let me go back to the farmers. The farmers are self-employed, so, they don’t qualify for help from the government, because they are self-employed and because of the assets-test. I believe that the assets-test should not apply in special cases, if you cannot make any money even if you work hard to earn it, the assets-test should not apply. I believe, that this is what is wrong with the assets-test today, they don’t consider if you can make money, from what you have? And how much money you can make from your assets? We are going to say something about the assets-test later, where we will be talking also about the assets test for rental property owners. To do all this, we are going to write several articles, so, we invite you to follow us, at least you will know our views. Now let me go back to the farmers issues, because life problems never come alone. You see, it is the federal government that can help the farmers, but the federal government is having trouble today, as we will explain later. Anyhow, today I am writing about what is happening in Australia to farming people, because there is this drought problem. So, the farmers need outside help, it is too much for some of them to keep going the way it is. I believe that they are not being helped enough from the government, because the government could do more to help them. Of course, the government find excuses, because there are other people that the government must help. But as it often happens, our lives problems never come alone; so, troubles can increase other existing troubles, even when they don’t belong to the original trouble. Anyhow, what I am trying to say here is that the federal government must help the farmers, but today they have their own political problems, so, instead of trying to solve the farmers problem, and other problems that we have, the politicians fight each other, they want to elect a new Prime Minister, believing that it is the fault of the PM the reason that people are leaving their coalition party; they don’t see that it is the party policies that people don’t like, and one of this I believe it is the assets test, because it puts the farmers and other people in a disadvantaged position, so, we are going to talk about it in these articles. About the political scene, I believe that changing their leader is not going to solve their political problem, unless those people that will be in charge, change some of their policies. But that is not all, because also, what I am trying to say here is what, senator Richard Di Natale, is talking about in this video, click the link to view. OMG finally somebody is telling the truth. Wake up Australian politicians and think about the people that have voted for you first, it is your duty. Now, let us hope that this political problem is solved quickly, so that the politician can go back to work and try to solve the farmers problem first, then solve the other problems. Anyhow, let me go back to talk about the farmers problem, since the farmer are neglected from the government. Today farming is easier than it used to be in the past, because of the progress we have made in farming; good farming practice helps everybody, the proof of how the farmers help is written in this article, Farming today compared to the old way, we wrote this article some time ago, and it explain the benefit that modern farming brings to the people. Because farming helps us all, the government should care about them, but they don’t care, so, the farmers are neglected from the government. Now, as we have said at the beginning of this article, today farming is still a risky business, when it should not be that risky. You see, we need the government to intervene and make laws that help the farmers when they need help. After all, it is the farmers that feed the people of Australia, because all the food is grown in the farms; so, it is necessary that the farmers are kept farming and continue to feed the entire population, if that cannot be done, then one day food could cost a lot more. So, let me explain how I see this farming situation. 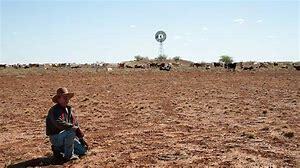 Australia is a vast country, but at the same time it is the driest continent on earth, for this reason the Australian farmers must be organized in a way that they can survive, when a dry spell happens like it is happening right now. They cannot copy anybody else to solve their farming problems, when there is a drought or something else that affects farming, because nobody else has got a problem as large as Australia, so, we in Australia must be the first in the world to find a possible solution to this farming problem. Wake up Australian politicians! I believe that the Australian government must make laws, which will help the farmers survive and be able to bring their farm back to produce whatever they produce, when the drought is over. Now, here we are talking about the drought, but it should apply to other things as well, because farming has too many ups and downs, so, they need to be organized in such a way that when things go the wrong way, like the drought they are experiencing now; this new future set up that we are suggesting, will keep hardship to a minimum. At this point of time one may ask, what can the government do? So, let us imagine what can be done, then make some suggestions. 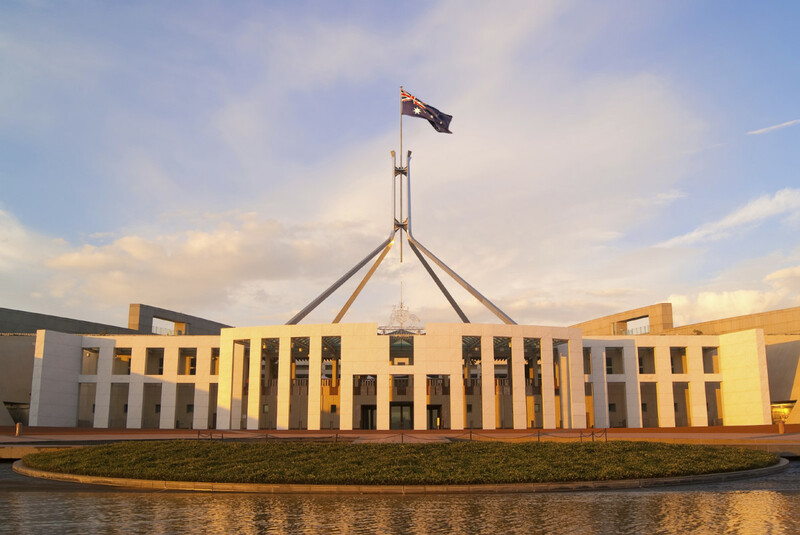 This is Canberra parliament house, where federal laws can be made to help the farmers, but we need a stable government to do that, but today the politician are arguing on many things just to see who is going to have the top job. What can we suggest for helping farmers? Today the most important thing that the farmers must do is think how they can survive the drought, or anything else that puts their livelihood at risk. 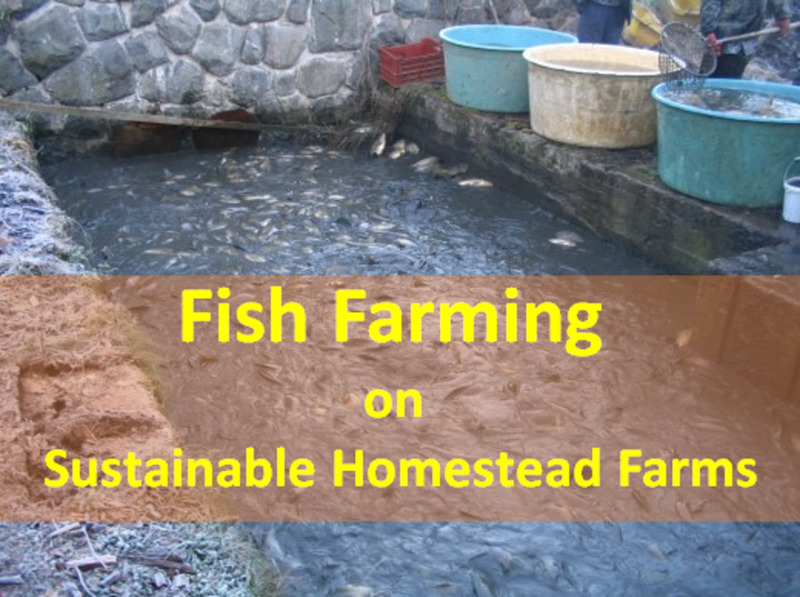 Here we must admit that most of the farmers are already good at doing that, because farmers are practical people, but that may not be enough, to save all of them, as we can see from what is happening today. Therefore, we must think about a helping solution. 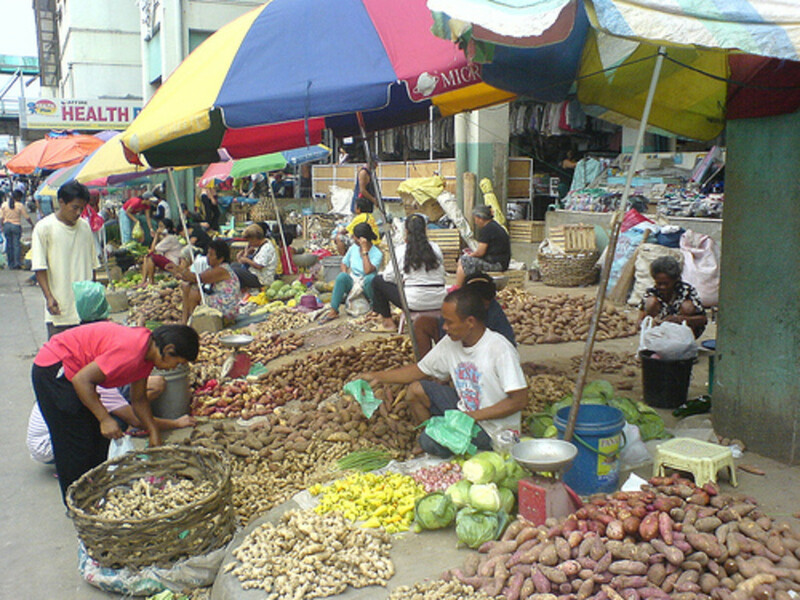 Here we suggest that an organization that collect things from the farmers, when farming is doing well must be created, this is where the government could step in, by setting up a collective organization, which for instance collect every year a portion of the farms produce, or even some money when they are doing well, before taxing them to collect their tax. Then this government organization, will keep this tax-free reserve of food and money in reserve; which then, it can be freely distributed, when it becomes necessary to help those farmers in need. Well this is a very rough and short suggestion that we have written here. But this thing is not even new; we are all familiar with the story in the Bible, when the Pharaoh of Egypt dreamed about the seven fat cows that then were devoured by the seven skinny cows. Joseph interpreted the dream that in the land of Egypt, there were going to be seven years of plenty, followed by seven years of famine. The Pharaoh got Joseph to organize a collection in the years of plenty, to be distributed on the years of famine, and thus Egypt survived the years of famine. What happened in Egypt was a long time ago, and the earth seasons then were more regular than today, because they did not have global warming to deal with, this global warming is an extra problem that we have created ourselves, so, today and in the future, we must create things that can overcome this global warming problem. Meanwhile, we must be careful what we do; perhaps we should create more social security for everyone including the farmers. Now, let us talk about our present farming and other problems that we are having today. Anyhow, today what we want from the government cannot happen; because of what has happened in Canberra recently; since the federal government has had political problems; so, on the 24 of August 2018 they have replaced the Prime Minister; now the new PM. is Scott Morison, but he needs still to choose the other ministers and then swear them in, before they can talk about anything else. Anyhow, we can say here that today Australia is still the lucky country, because there are people that donate things, when people are in need; so, the farmer get some help that way. Thanks God for that! Anyhow, meanwhile the farmers are praying for rain and praying that the people in Canberra will remember them, and then, do something about helping the farmers. Because, farming is a risky business even today, when things are easier to organize, for this reason, we need to look at the Australian security system to see who is responsible and what could be done. I think I have said enough in this article, see you in our next article, where we will discuss about the Australian social security system that today is failing the farmers, but not only the farmers, because there are a lot of other people that can be served better. We believe that Australia can do better, if the Australian government can organize our resource better, Anyhow, knowing about these problems, we are writing a few articles, hoping we can suggest something useful, to those people that are running the country. 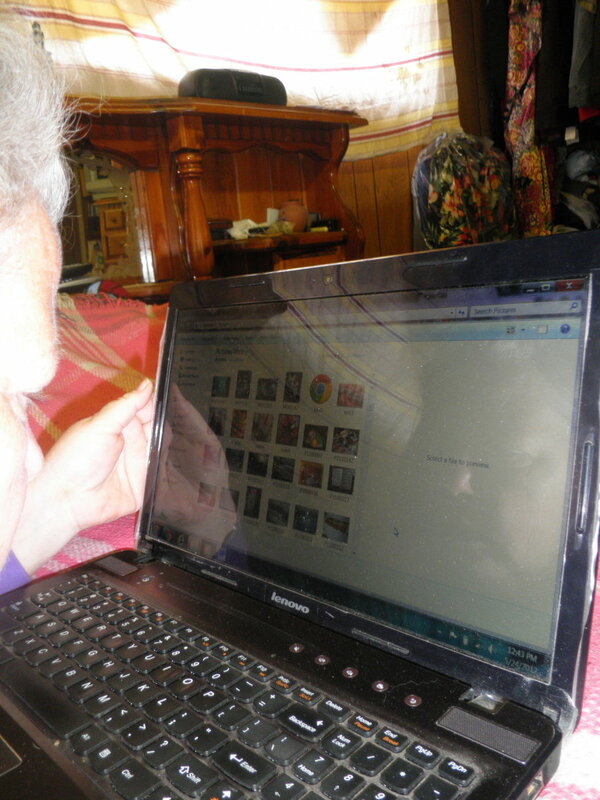 So, we are going to talk about the Australian social security system, in our next article. We have achieved a lot in agriculture in the last hundred years; so, let us compare how hard it was to harvest wheat or any other cereals the old ways to today ways by using these wonderful machines. Talking about rats and their destructive behaviour, when they are allowed to come in our house. I believe that we should be on guard all the time and try to find ways how to stop them, if we can. Let any old man do his life duty by Writing An Autobiography about his own life and what he has learned from it, so that humanity may learn from what he has learned during his life.